If you want a quality wallet that not only looks good but will last, look no further. 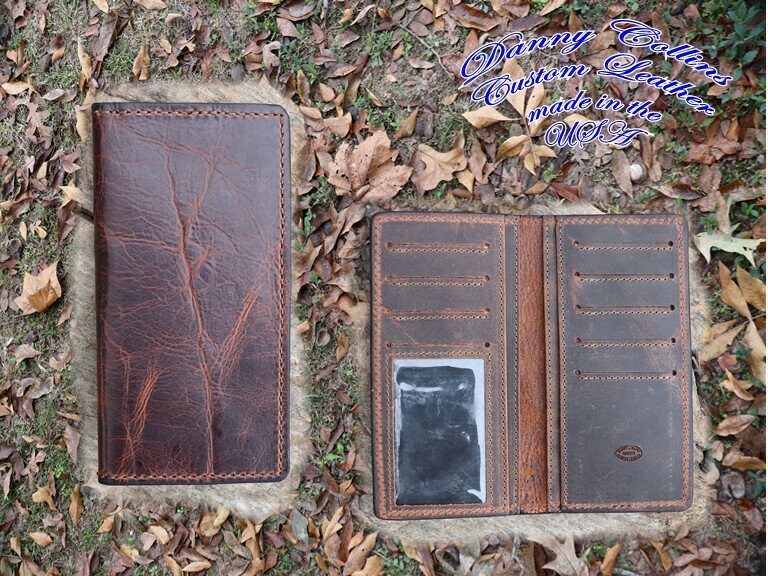 These wallets are made right here in my shop one at a time out of some of the finest American Bison leather available. This leather is as tough as it gets but soft & supple at the same time. This wallet features eight card slots, an ID window and a divided compartment under both sides for your folding money. .